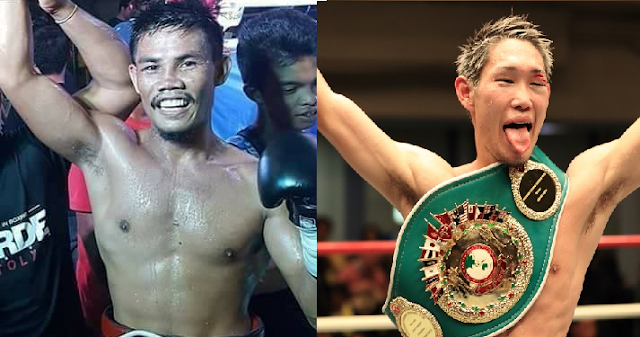 Filipino boxer Ryan Sermona faces OPBF lightweight champion Masayoshi Nakatani on September 3, 2017 at Shimazu Arena, Kyoto, Kyoto, Japan. Ryan Sermona is a 29 years old boxer from Himamaylan City, Negros Occidental, Philippines. He has a record consisting of 20 wins including 13 victories by way of KO's and has 8 defeats and 1 draw. Sermona fought many times outside the Philippines and faced some of the top fighters in Asia. This will be Sermona's third fight in Japan, he lost to Shingo Eto and Masayuki Ito in 2014. However, Ryan Sermona currently had his comeback and won his last 2 fights all by way of TKO. On the otherhand, Masayoshi Nakatani is a 27 years old undefeated Japanese boxer, he is hard hitting and smart fighter, has an outstanding record of 14 wins with 8 KO's. Nakatani won his OPBF title in 2014 and he successfully defended it 7 times in a row. Masayoshi Nakatani is currently rated no. 27th in the world and no.1 Japan in the lightweight division.